“At BRAC, we pride ourselves on taking an innovative approach to early childhood development and education and share the LEGO Foundation’s passion for learning through play. Through our Play Lab programme, we have seen first-hand the power it can have in a child’s development,” he added. 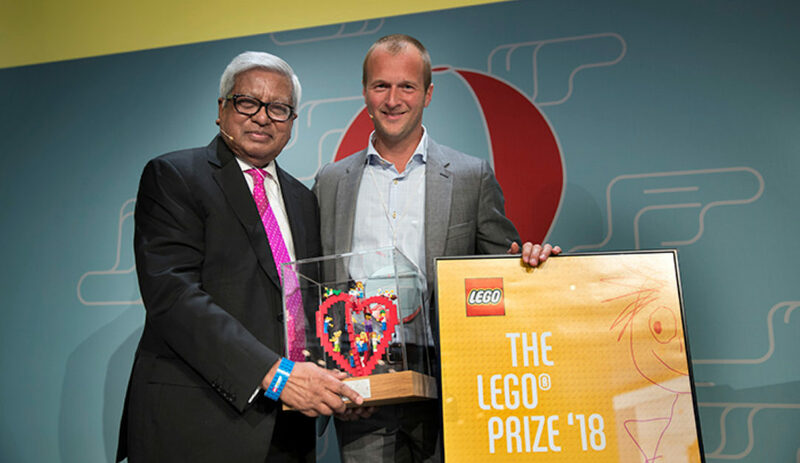 Finnish educator and scholar Pasi Sahlberg, educationist and president of Reggio Children Carla Rinaldi, and founder of Right To Play International Johann Koss are among the earlier winners of the LEGO Prize. In addition to its early childhood development centres, BRAC operates some 10,000 pre-primary schools, 3,200 non-formal primary schools, 8,700 primary schools, and a university. BRAC also provides technical support to 3,846 primary schools.